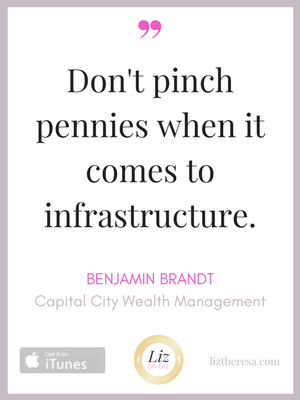 Benjamin Brandt is a CERTIFIED FINANCIAL PLANNER™ and Founder/President of Capital City Wealth Management, a Bismarck, North Dakota fee-only financial planning company. He is also the host of the popular podcast Retirement Starts Today Radio and the accompanying blog. Benjamin is an Iraqi combat veteran having served in the North Dakota Army National Guard for 8 years, including a 15 month deployment to Iraq in 2003. You may have seen Benjamin featured in The Huffington Post, CNBC.com, Forbes, Business Insider, ClarkHoward.com, and many others. In his free time, Benjamin and his wife Kristen can be found on the weekends at the hockey rink, or on the gymnastic and wrestling mats, chasing their three energetic children. A special message from Benjamin for YOU! CLICK HERE! [1:59] – Benjamin tells the story of how he came to be a financial advisor. [4:22] – Separating from the military and starting a family. [8:40] – His podcast, Retirement Starts Today Radio. [14:02] – Benjamin describes his typical client. [20:43] – Retirement advice for entrepreneurs or those young and just starting out. [21:34] – Taking transparency to a whole new level. Benjamin tells the story about how he hired a private investigator off of Fiverr to share what they found about him. 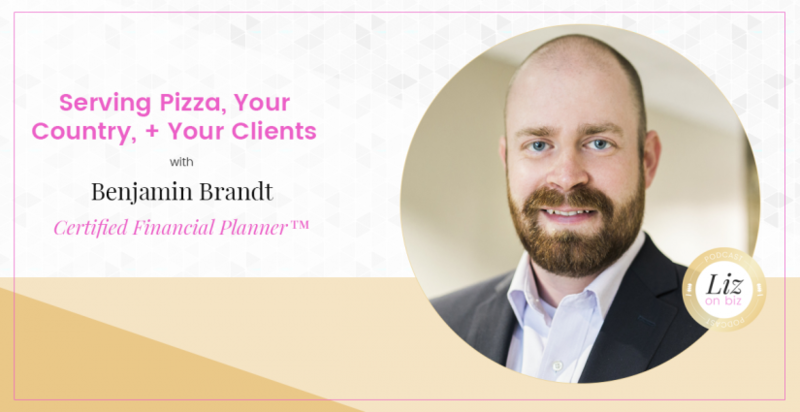 [28:23] – When to invest in your business – advice for investing in yourself. [32:27] – Benjamin’s last words.